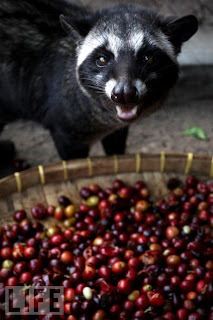 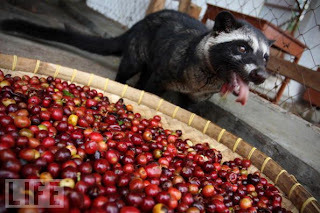 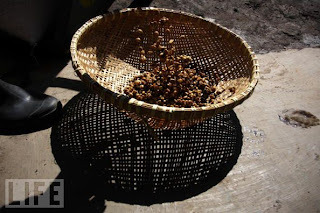 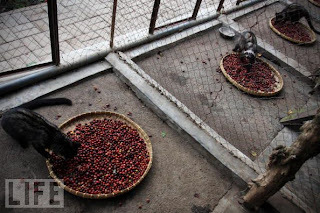 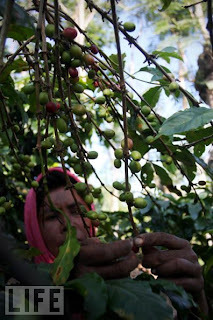 A farmer in East Java, Indonesia, picks coffee cherries to feed the civets. 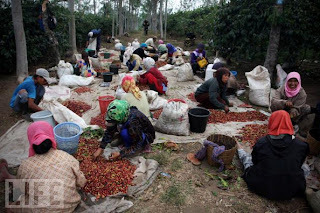 In East Java, workers use gloves to clear the results of the feast. 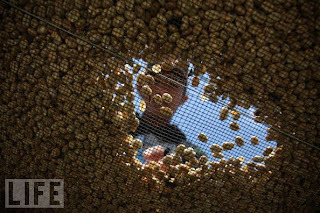 That Ain't Peanuts and Nougat. 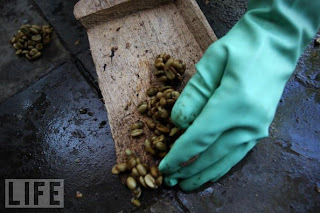 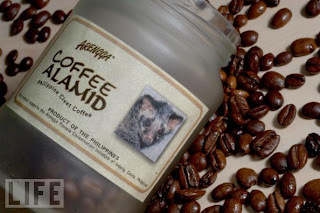 Civet poop before it's turned into the coffee. 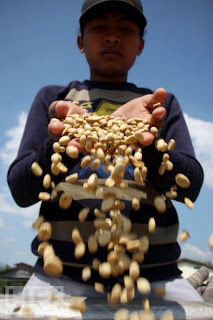 A worker displays the distinct, cleaned-off beans. 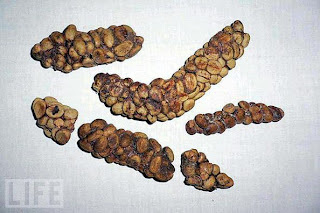 Makanan Seksi, Makanan Ngeri - Pun Ada?